Senatorial candidate for Lagos Central, under the platform of the People’s Democratic Party (PDP), Chief Adesunbo Onitiri, has implored President Muhammadu Buhari to stop the trial of the Chief Justice of Nigeria, Walter Onnoghen before the Code of Conduct (CCT) forthwith. In a statement in Lagos yesterday, Chief Onitiri cautioned the Federal Government that the timing of the trial smacks of political undertone. According to him, Nigeria is greater than anybody and that power is transient. “Nobody is saying that the CJN is right or wrong, but, the timing is wrong. Our democracy should be nurtured and not destroyed. All the three pillars of democracy should be independent of one another; the Executive, Legislature and the Judiciary; none should be allowed to cow the other. “Nigeria is not a banana republic where you trample on the rule of law. 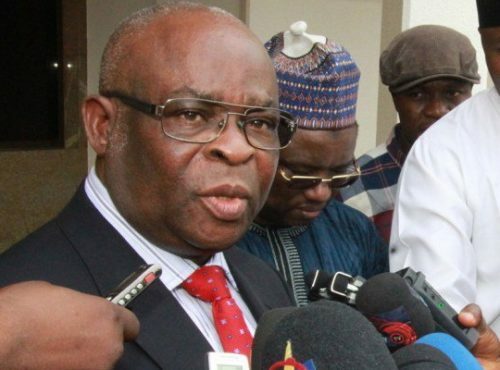 The present trial of our CJN is totally in bad taste as Nigerians see it as an attempt to perpetuate APC rule on the country which will be resisted by all patriotic citizens,” he said.